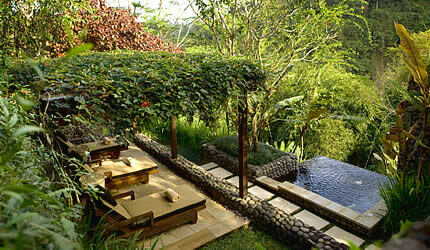 The timeless beauty of Ubud on the spiritually charged island of Bali is ideal for communing with nature. It is a good place to reconnect with your inner self by releasing the body and mind from the pressures of modern living. A busy lifestyle depletes the senses without you even being aware of it. In order to replenish depleted energy levels and restore balance, it is very important to surround yourself with the simple offerings that Mother Nature has to offer. Royal Ayung Villa1 Villa – Two Storey (426m2)This villa is the jewel of the Spa’s crown that offers couples a temporary escape from the complication of the outside world. This exclusive retreat is blessed with stunning views of untouched hinterland terrain. It features its own private swimming pool, hot and cold Jacuzzi, dry sauna, herbal mist sauna, shower, toilet, dressing room and a relaxation arbour. Taking the need for privacy into careful consideration, this spacious treatment villa is the very height of Balinese spa elegance. 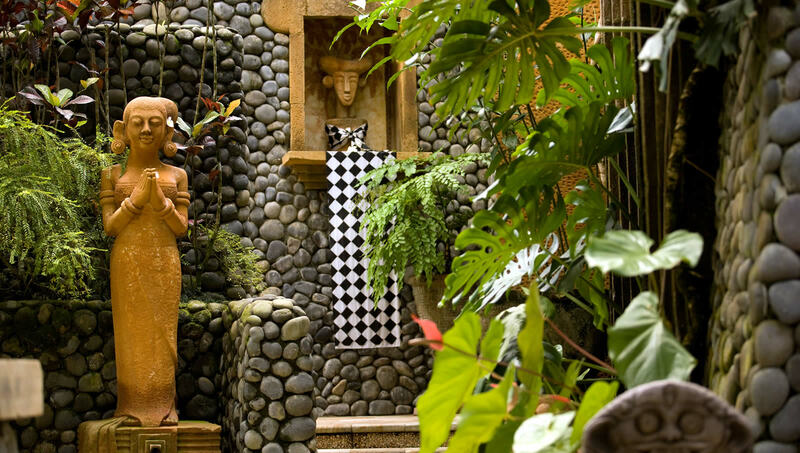 Surrounded by elements of nature and local artistry, it features bathing and dressing room facilities.